A native of Dörrebach in what was then Prussian Rhineland, Jacob Vollrath learned as a young man how to form wrought iron through the process of molding. In 1845, Jacob, then in his early 20s, immigrated to the United States and eventually settled in Sheboygan, Wisc., in 1853. Jacob began in business there in what an official history calls "a small and crudely equipped foundry," which produced engines and castings. That building burned down not long into its life, but Jacob persevered, overseeing the construction of a new, but smaller, factory just down the road. There workers produced bake pans, stew pans, sleigh runners, and other small cast iron works. The company and that new facility were both abandoned shortly after as Jacob bought a stake in the Northwestern Iron Works, which manufactured threshers, plow points, wagon skeins, and tools and parts for building chairs. A machine shop was soon added there and Jacob was made a partner in the business. Unfortunately, his time there was limited, as the plant was sold in 1873 to J.M. Kohler, a name that would remain linked to Jacob's fate, as well as to his family and his company, to this day. Undaunted, Jacob founded Sheboygan Cast Steel Co. in 1874, with a factory that produced cooking ranges, farm tools, and parts for railroad crossings called frogs. He began making trips to Europe to learn the wet enameling process of cast iron. With the return of Jacob's eldest son Andrew Jackson - who is at times referred to as A.J. and other times as “Jake” - from Germany in 1876, the company began casting iron hollow ware. Andrew perfected the production of these enameled utensils while in Germany. Jacob took on the task of selling them door-to-door and incorporated a new business, the Jacob J. Vollrath Manufacturing Company, in 1886 to produce items for the kitchen. The company found success with its early designs and earned a larger place in the market when another of Jacob’s sons, Carl A.W., was granted a patent for producing what he believed to be a better version of speckled enamelware than what was available from other manufacturers. At the time, enamel-coated metal pieces were common in the residential kitchen and many home cooks were looking for more attractive presentations than the single-color pieces that were common. The patent shows Carl came up with a new process to add a “mottled or speckled appearance” to the shiny finish that was more defined than the one produced by existing practices. He achieved that by mixing ordinary window glass broken into shards into the glaze. That unique process, combined with the success of the other kitchen utensils being produced, led the company to focus exclusively on those by 1900. It was so successful with that move that it opened offices in Chicago and New York, and built a new plant and office facility in Sheboygan, which was quickly expanded. 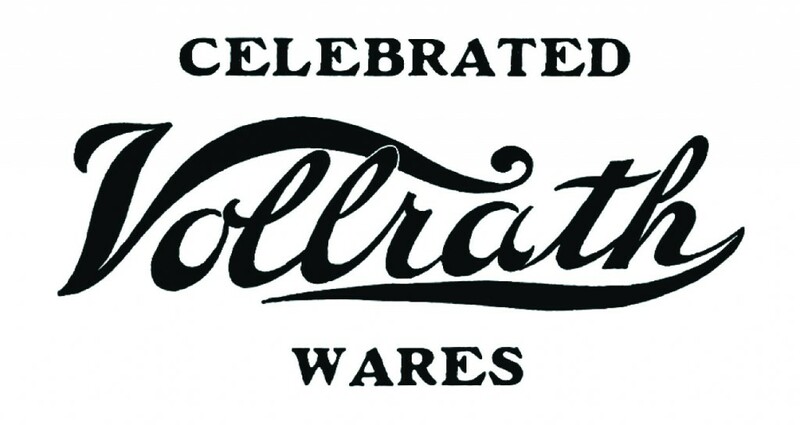 The wares were entered into the Louisiana Purchase Exposition in 1904, where they took top prize for “excellence in the production of Colored and Plain Stamped Steel and Cast Iron Enameled Wares,” according to an ad the company placed in the Home Furnishing Review. Prior to that, they were also recognized at the Cotton Centennial Exposition in 1885 and the World’s Columbian Exposition in 1893. 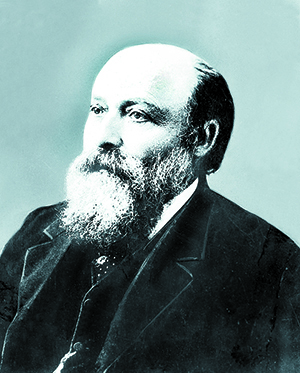 Jacob passed away in May 1898 and the company was handed down to his children, including Andrew, who served as president of the company. He left that post on Aug. 7, 1907, selling his interest to form what was then called The Porcelain Enameling Association of America, which would later come to be known as Polar Ware. The company, which produced deep draw metalwork and did metal stamping, was founded in Sheboygan, but later moved to Kiel, Wisc. Polar Ware eventually came under the company's umbrella with its purchase 105 years after its founding, a move that brought along subsidiary Stoelting, which produces premium frozen treat equipment. When Andrew left, brother Carl was tapped to lead the company. In 1908, the name was shortened to the current version. Construction on a new manufacturing facility began in 1910 in Sheboygan, with that 140,000-square-foot building served by a spur railroad operated by the Chicago and North Western Transportation Company. Expansions were made several times over the next decade and a half to accommodate the company’s growing product lines. Steam table pans and other equipment, which are now one of the cornerstones of its product offerings, were first sold in 1919. 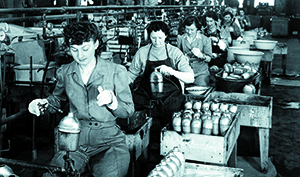 With the United States’ entry into World War II in late 1941, the company moved to support military efforts, converting its factories to produce war supplies gradually until it reached full capacity in August 1942. The company only continued to produce a small number of items for civilian use from that time through the end of the war in 1945. A month and a half after Germany’s unconditional surrender, the company was recognized for the part it played in that success, as well as the surrender of the Japanese a short time later, with an Army-Navy “E” Award. 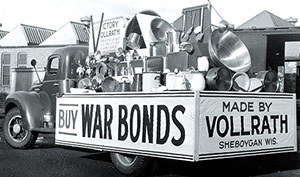 That recognition was given to only about 4 percent of the companies that contributed to the war effort and recognized those that had significant output. U.S. Patent Granted to A.J. 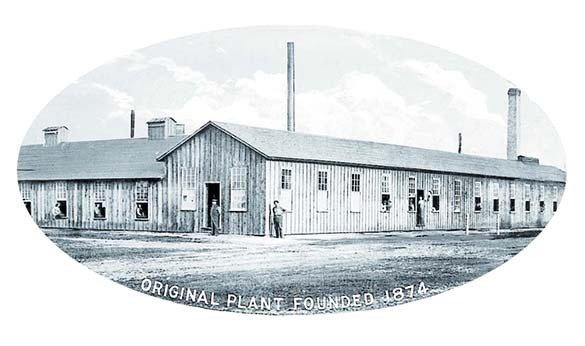 The history of the company long intertwined with that of the Kohler Company, which was started around the same time in Sheboygan. Jacob is said to have helped John Michael Kohler II take over the Sheboygan Union Iron and Steel Foundry, which he was a part owner of. Kohler married Jacob’s daughter Lillie in 1871 and became owner of what became the Kohler Company in 1873. At least one report indicates Kohler paid his father-in-law $5,000 for the operation in the midst of a national depression. Kohler’s son Walter Kohler Sr. served as governor of Wisconsin from 1929-31 and was chairman of the board until his death in 1939. At that point, his son Walter Kohler Jr., who worked as a sales executive at the Kohler Company, stepped into a role on the board. He had to put his work for the company on hold to serve in the U.S. Navy in World War II, but returned to the company upon his discharge. He eventually took the reins from his uncle Jean, serving as president beginning in 1947. 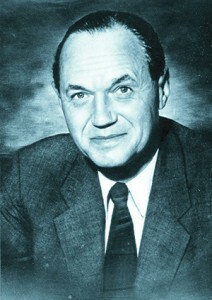 Under Walter Kohler Jr.’s leadership, the company introduced a long list of new products, forging the foundations of the company’s history of expanding lines. Among the innovations introduced during the mid-1900s is the Polio-Pak Heater. The $275, countertop-high piece of stainless steel equipment could provide 15 double-thick steam heated woolen packs, which were used in the treatment of those with polio. With polio reaching epidemic proportions in the United States, the Polio-Pak Heater was incredibly popular. Though most families couldn’t afford to purchase one for themselves, they were common in hospitals and other treatment centers. The pack heaters, including a later portable model, were often purchased by groups of citizens and civic groups for use by the sick in their communities. In 1970, the company expanded into producing molded plastics for the medical field, and in 1974, it purchased the hollowware side of the Admiral Craft Corporation. In celebration of the company’s 100 years in business, the new line was named Century. The company expanded into the foodservice plastics field in 1976 when it acquired the Bolta line, which included about 800 different plastic containers. When Walter Kohler Jr., who followed in his father’s footsteps by serving as governor of Wisconsin from 1951-57, passed away in 1976, his son Terry Jodok Kohler became the company’s seventh president. Terry Kohler started at the company in 1962 after serving in the U.S. Air Force, and earning undergraduate and graduate degrees from MIT. Like his father’s, Terry Kohler’s term as president - and as chairman of the board and CEO beginning in 1982 - was marked by impressive growth. Shortly after stepping into the president’s role, he began construction of a 24,000-square-foot addition to the original office building in Sheboygan. 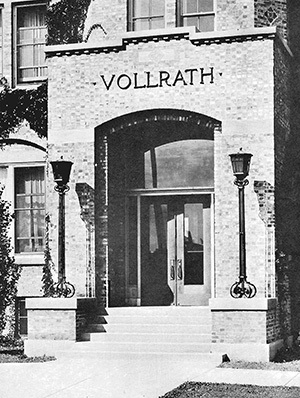 Kohler led the company through a decentralization process that broke it into nine divisions, each with its own president, though all operated under the same umbrella. Wikipedia Article on Walter J. Kohler, Jr.
Dyna International Corp., a line of self-leveling dispensers and carts that was later sold. Commercial aluminum cookware line Leyse, purchased from General Housewares Corporation to allow the company to produce those pieces domestically. Smallwares and cart lines from Bloomfield. 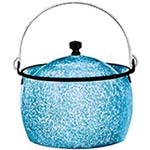 A line of food warmers and accessories from Idea/Medalie Division. Metal fabrication company Luitink Manufacturing. Corsair Display Systems, maker of kiosks, carts, and inline serving stations. An induction cooktop company called Luxine. Lincoln Smallwares, including the Wear-Ever and Redco brands. Anvil America, a countertop cooking equipment manufacturer. Traex Smallware and its plastics forming facilities. Display and dispensing products maker Acry-Fab. Terry Kohler stepped down from the top post in 1989, at which time CFO Tom Belot was promoted to president and CEO. Belot started with the company in 1978 after earning his BBA and MBA at the Unviersity of Wisconsin at Osh Kosh. He worked as director of management systems, CFO, and president of the refrigeration division prior to moving into the president’s office. Belot saw the company through the milestone achievements of reaching both the $100 million and $200 million annual sales mark before handing over the reins to COO Paul Bartelt in 2009. At the beginning of 2012, Bartelt oversaw the opening of a new European headquarters in Rijen, Netherlands. Citing the company’s rapid growth in the overseas market, Bartelt announced that all European operations would be managed out of the facility, which was expected to continue expansion there. The company doesn’t just have a rich history; it also wants to ensure it and its neighbors can have a prosperous future. That’s why it has taken numerous steps in recent years to ensure its operations are more sustainable. It eliminated pallet waste by making intracompany shipments with reusable plastic pallets and totes, and cut the particulate emissions from its Sheboygan factory to zero. Cooling water from one part of the process is used in another and paper that comes wrapped around the steel coils the company uses in manufacturing is reused as packaging filler. Perhaps most impressively, there is virtually no metal waste from the manufacturing process, as scrap is recovered and recycled. Commercial induction cooktops are approximately 40 percent more efficient than standard gas and electric ranges, while the reduction in ambient heat from the burners also helps cut down on HVAC costs. Cayenne Heat Strips have a larger warming area, allowing for use of lower-wattage elements that use less energy. High-density insulation in modular drop-in units means higher temperature retention with less electricity. Signature Server service lines use a 625-watt heating element, rather than the 1000-1600-watt ones coming in competing models. Super Pan V and Super Pan 3 steam table pans have flat edges that keep steam from escaping, making them 38 percent more efficient than bent-edge models. They also work well with adapter bars that fit between the pans on the steam table, eliminating gaps and preventing steam loss. The Agion Antimicrobial system uses natural, environmentally friendly materials to provide revolutionary food safety protection. The company's electric chafer heater can cut food warming costs by 93 percent by eliminating the need to regularly purchase canned heat. Unique double-walled bowls have insulation to keep foods hot or cold longer while cutting energy or ice usage.